By natasha | February 3, 2018 May 3, 2018 | Comments are off for this post. 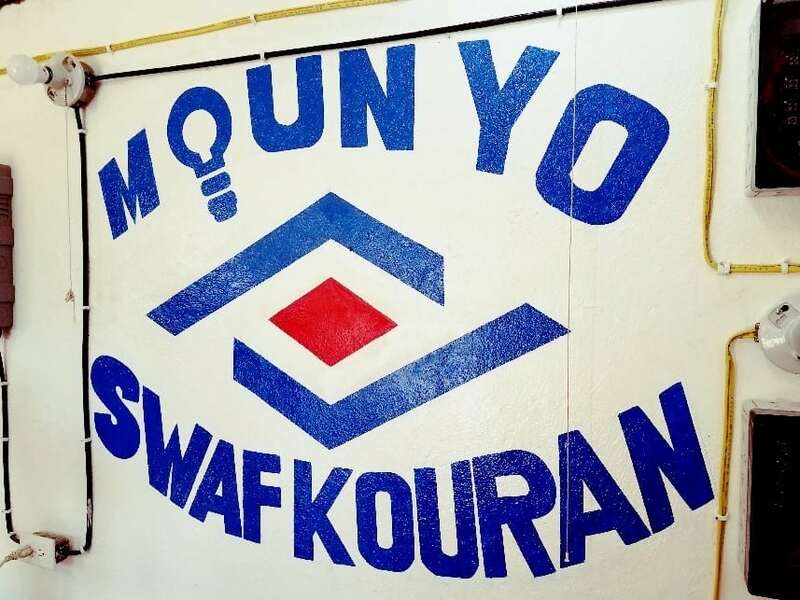 On the wall of the Sigora Haiti field operations center in Mole Saint Nicolas, Haiti, the company’s 50+ local employees have painted the new rallying cry of the 21st century energy sector, “Moun Yo Swaf Kouran,” which means “the people are thirsty for power” in Haitian Kreyol. 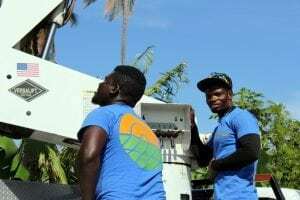 These technicians, 90 percent of whom grew up in the communities where they work, are responsible for keeping the lights on for 10,000 customers (growing by the day) in Northwest Haiti by building the electric grid from scratch in places that have never had power. Training skilled labor for jobs in rural areas helps to reverse the brain-drain of frontier-market talent in STEM fields – science, technology, engineering and mathematics – and bring members of the diaspora back to their home communities. Equal access to opportunity is a fundamental building block for community-based economic development. Modern education, healthcare, telecommunication, and commerce require energy access. However, we live in a world where 1.3 billion people lack access to electricity and an additional 2.3 billion have insufficient or unreliable electricity supply. Existing non-profit budgets and utility business models have little scope or regard for customers beyond the grid edge. Recent research conducted by SE4All of 20 countries accounting for 80 percent of those without access to electricity found that in 2013-14 just under 1 percent of the total $19.4 billion of trackable finance for electricity was committed to off-grid solutions. 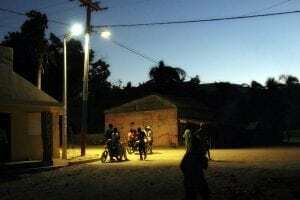 Individuals coping without access to reliable grid infrastructure pay dearly – upwards of $10/kWh for lighting (adjusted for lumens/Watt) with kerosene and in excess of $25/kWh for cell phone charging with street vendors. These individuals pay over 100 times more for their electricity than consumers in the USA where the grid power is available 24 hours per day, seven days per week for an average price of $0.13/kWh. In other words: it’s expensive to be poor. The reality is that because such consumers are already paying a premium for their energy, they actually have the disposable income to afford top tier energy services if given the choice. But oftentimes poor customers are denied the opportunity to exercise their agency in the marketplace. 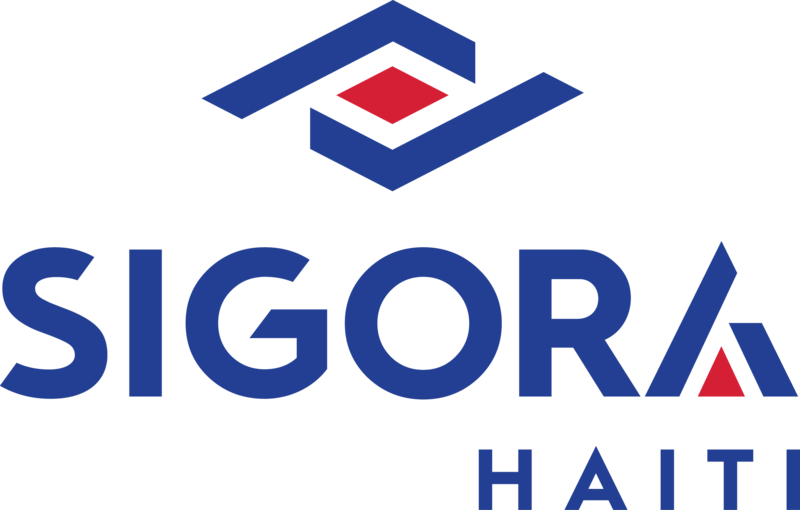 Over 80 percent of Sigora’s clients are micro-residential, consuming on average 70kWh per year, with some as low as 22kWh. The reality is that the vast majority of national utility companies in frontier markets are embroiled in annually compounding quasi-fiscal deficits. In other words, they are fundamentally insolvent and dependent upon periodic bailouts from multilateral institutions, foreign governments, and other sources of aid. According to the World Bank, 37 of the 39 utilities in Sub-Saharan Africa are unable to recover their full cost of service, 64 percent of them fail to recover even their operating expenses. The leading causes of insolvency are underpricing, overstaffing, energy losses, energy theft, and operational inefficiency. Energy theft alone accounts for $96 billion in annual lost revenue worldwide. Therefore, some utilities add fewer than 1000 new customers annually (in some cases, costing thousands of dollars per connection) while losing hundreds of millions of dollars per year and electrifying less than 30 percent of their populations for fewer than 12 hours per day. 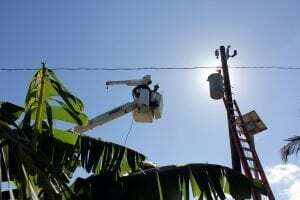 If current trends continue, these utilities will lose even more money with each additional customer, falling short of global projections for rural electrification. The prevailing utility bailout paradigm has caused innovation to stagnate within the sector. 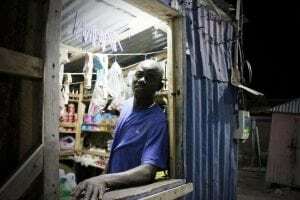 Once acknowledging the barriers to universal electrification have more to do with insolvency than poverty, many NGOs and social entrepreneurs are taking aim at business models that bridge the gap between disconnection and interconnection. 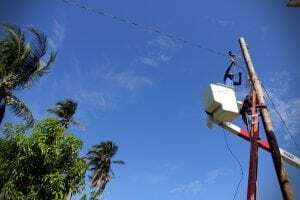 The challenges of rural electrification in frontier markets are not dissimilar to the conditions that gave rise to rural electrical utilities all over the world. When the USA achieved universal electrification (which became a Federal policy priority in the 1940s – not that long ago), it wasn’t due to mass flashlight or battery distribution, but the political will to form rural electrical cooperatives to boost productivity and quality of life in the heartland. Since most industrialized nations are several generations removed from this experience, the approach may seem novel, however it’s proven in thousands of towns all over the word. It’s as if the World Bank’s model was built with the assumption that people living in energy poverty will always have a less robust electricity service than what’s available internationally. It doesn’t have to be that way. 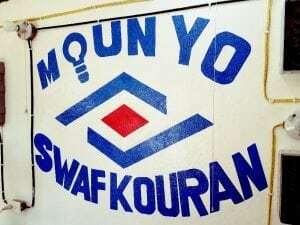 Sigora Haiti’s micro-utility businesses in Mole Saint Nicolas, Jean Rabel, and Bombardopolis operate on the same principles as all other utility companies: Sigora Haiti produces kWh of electricity and it sells kWh of electricity. There are fewer options on the “menu” than at a coffee shop. These features expand the traditional service offering of conventional utility businesses, offering expanded “energy-as-a-service” business models for micro-utility developers in frontier market context. 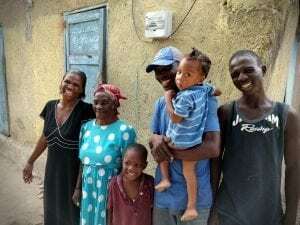 One of the unique aspects of these emergent business models being pioneered by Sigora Haiti and its peer micro-grid developers is the lack of clarity in operational codes and standards. These systems may fall under IEC/NEC/IEEE/ANSI or other standards-making organizations. Aside from the core product safety and technical performance standards, there is currently a robust debate in how to evaluate quality of service across divergent energy access offerings. 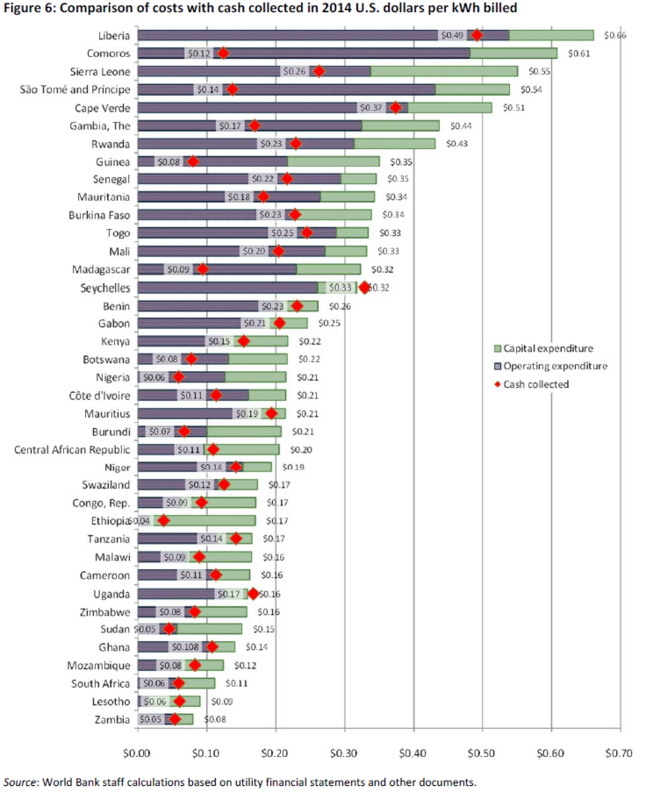 The chart below outlines the World Bank’s comparison of levels of electricity access in homes in rural frontier markets. Notice that Tier 5 access does not match the standard that most people in developed countries have come to expect from their power supplies. It’s as if the model was built with the assumption that people living in energy poverty will always have a less robust and reliable electricity service than what’s already available to their brothers and sisters internationally. It doesn’t have to be that way. There are already systems being deployed in frontier markets that exceed this chart’s fifth tier of electricity access. 1. Peak Capacity Power Ratings (W) 2 kW Minimum customer allowance is 1.8 kW. Commercial rates offer 9.6 kW standard service, or higher if necessary. 3. Reliability Disruptions per week 3 totaling less than 2 hours of cumulative downtime (per week). Sigora is averaging 1.167 outages per week totaling 31 minutes per week of downtime, 2017 Year-To-Date (YTD). These outages are primarily due to scheduled weekly maintenance on generators. 4. Quality N/A Voltage Problems do not affect the use of desired products. Sigora meets ANSI utilization voltage standards for electrical service. 5. Affordability Percentage of household income Cost of 365 kWh/yr is less than 5 percent of household income. Customers are free to use as much or as little as they desire, most choose to pay less than 5 percent of household income, with the majority spending $4-12/month. 6. 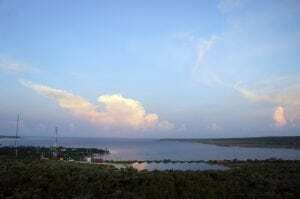 Legality Collection Rate Bill paid to utility or authorized representative. 99 percent collection rate via PAYG vendors and mobile money transactions. 7. Health & Safety Risk and Accidents Absence of past accidents and perception of future risk. Zero Days Away or Reduced Time (DART) in micro-grid construction and operation YTD 2017. No customer or employee injuries to report. Perhaps the ESMAP energy access criteria should be expanded to include a Tier 6 electrification package commensurate with the quality of service anticipated in industrialized nations. To that end, another improvement of the tiered framework would offer comparisons to metrics and indices already utilized by regulated utilities. 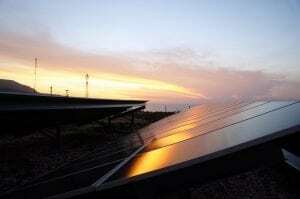 For this purpose, NREL has developed the Micro-Grid Quality Assurance Framework. 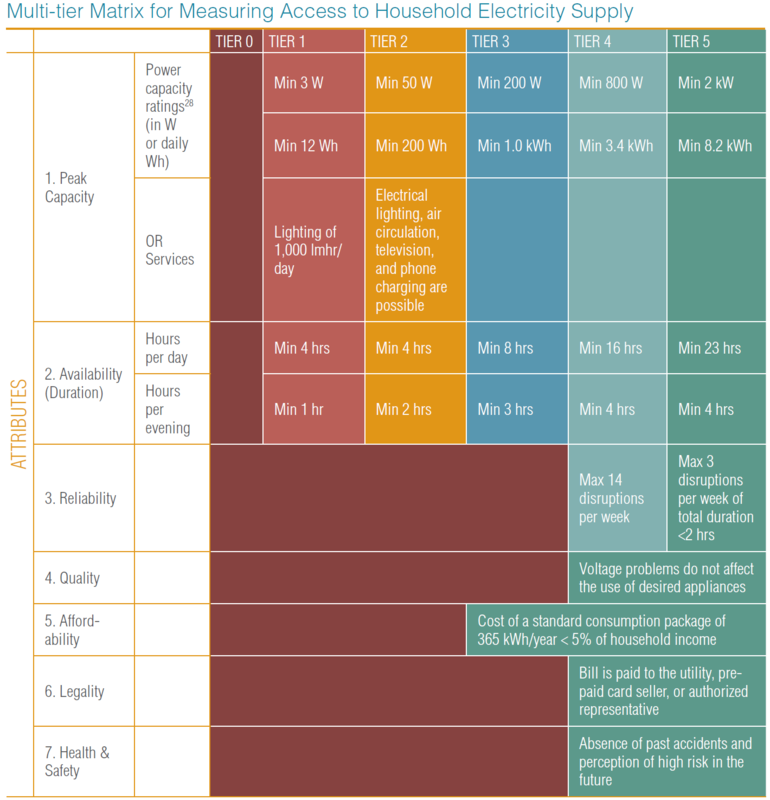 These criteria may need additional adjustments for specific operational context, but it offers a meaningful comparison between micro-utilities and established electricity providers. Many countries require 100A (12 kW) electrical service for all residential connections, whereas many microgrids can serve a dozen customers with that much power. Rather than following standards which specify excessive raw materials (thicker wire, larger breakers, extra design margin), micro-utility developers will seek to optimize electrical service with more efficient use of resources with lean innovation to connect more customers safely and reliably – while still offering sufficient capacity for productive use of electricity in irrigation, refrigeration, and electrical appliances on a household or cooperative scale. Conventional smart meter products are required to be calibrated to a specific level of precision for use in national utility applications. Nevertheless, energy access customers are using very small amounts of energy primarily for lighting and phone charging, which may not require such high precision for cumulative monthly electricity purchases averaging less than $10 per household. Multiple studies have shown that electrification begets economic growth, which in turn begets electrification (by increasing demand for energy). The assumption that production is therefore a function of capital, labor, and energy holds true at both the national and the local level. With a solid regulatory framework, disconnected families in frontier markets won’t need to wait for NGOs, public utilities, or for-profit developers to reach their region. New energy entrepreneurs can take matters into their own hands by purchasing third-party smart meters from companies like Sigora International which turns their diesel genset or rooftop solar panels into neighborhood-scale micro-utility, open for business with secure, reliable PAYG transactions. Rather than limiting customers to a flashlight approach, which sacrifices high-tier electrification for productive use, or relying upon a 1940s approach to increasingly uneconomic grid expansion, 21st century utilities have the opportunity to provide a top-tier customer experience that empowers communities with the conditions for development. The fundamental technology for this paradigm is readily available today. A multitude of new business models await development of standards and protocols for interconnecting the next generation of innovators to the grid of the future. These data are “year-to-date” as of October 2017.